Christmas is traditionally a time for friends and family, and if you’re visiting Spain at this time of the year there’s an extra-special sense of holiday magic in the air. Here are some great ideas for things to do on Christmas and New Year’s Day in Santiago de Compostela. Ice skating is a traditional winter sport and a great way to get out and about with friends and family. Check out the big ice rink set up in Alameda Park where you can perfect your skating technique and enjoy the sounds of the year’s most popular music. Read More: Looking for some more ideas to enjoy the holiday season in Galicia? 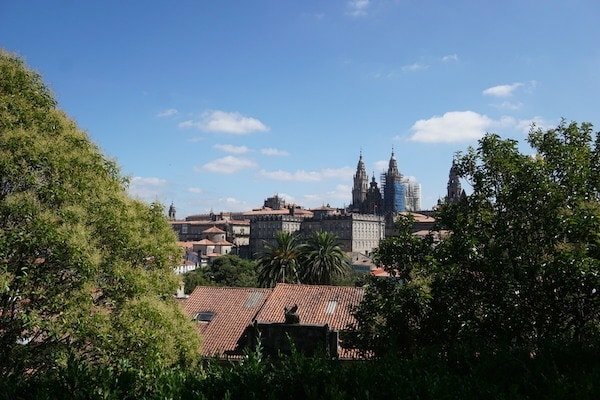 Check out the complete guide to winter in Santiago de Compostela! Here in Spain, people take their nativity scenes pretty seriously. If you’re spending Christmas and New Year’s Day in Santiago de Compostela, you’ll have the perfect opportunity to see these beautiful displays for yourself. 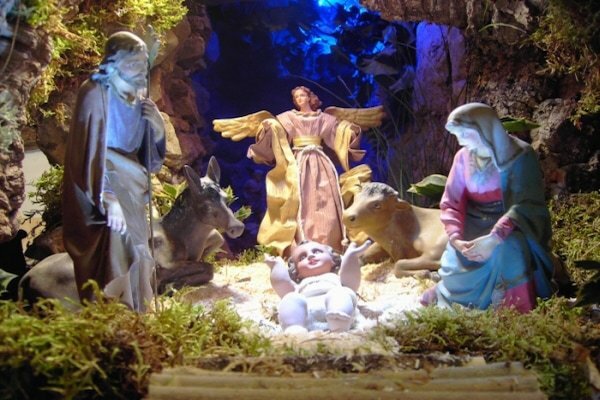 Visit the beautiful handmade Christmas nativity scene at the San Fiz de Solovio church (Praza de San Fiz de Solovio, 1B), rumored to be Santiago de Compostela’s oldest church and very close to the famous city market (Plaza de Abastos). There are more than 200 pieces in this craft nativity, showing various scenes with lights and moving parts to bring the scene to life. As a bonus, this amazing local church is usually closed to the public and opens just for this special nativity, so it’s a great opportunity to visit this stunning historic gem. Throughout December, plazas across Europe light up with the glow of charming traditional Christmas markets, and Santiago de Compostela is no exception. Visiting the city’s fantastic Christmas market along Carreira do Conde is the perfect plan while in town for the holidays. You can pick up some beautiful artisanal crafts, decorations and pastries. Just don’t forget to get a yummy cup of Spanish hot chocolate and some crispy churros to keep you warm as you walk around the stalls! 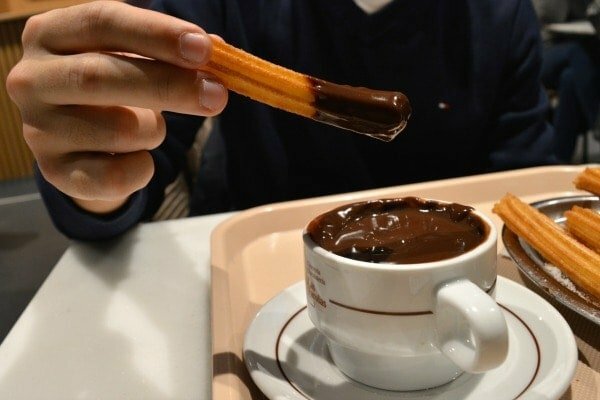 Churros and chocolate are always a good idea. 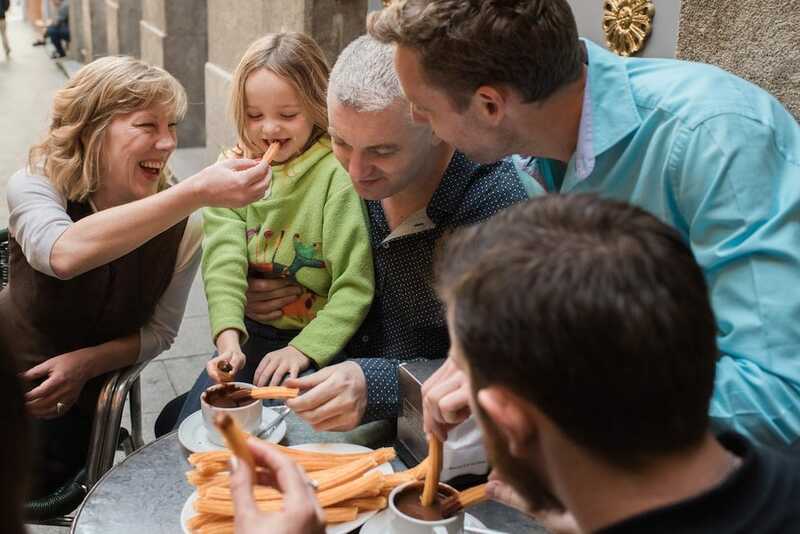 Here in Spain, the traditional Christmas family meal takes place at home on the night of December 24, so it can be hard to find a restaurant that’s open on that night. December 25, on the other hand, is a day when groups of family and friends go out for a long, enjoyable lunch at a restaurant. Take advantage of the festive atmosphere to relax and indulge in a delicious Christmas day meal, but be sure to contact your restaurant of choice to book and ask about the special holiday menu! 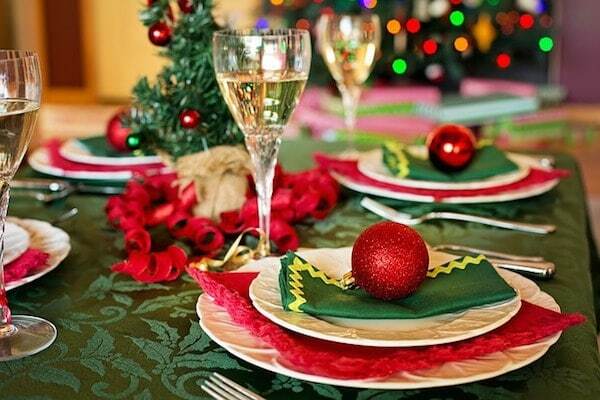 The table’s all set for Christmas! See Also: Still hungry? 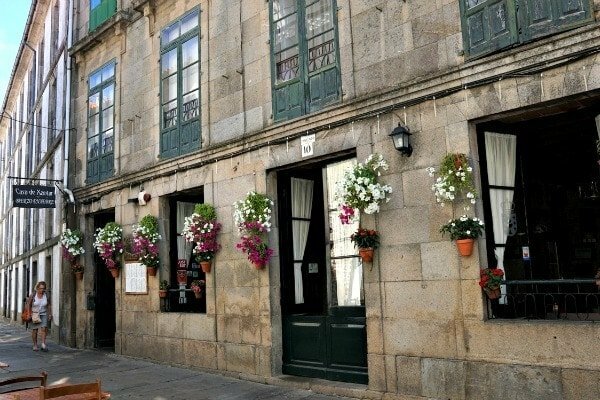 Check out the complete guide to eating in Santiago de Compostela!